Chumba Casino is outstanding online casino where Canadians and US punters can play slots with PayPal. This online casino employs a unique sweepstakes-based approach to online gaming. This system makes it possible for players from Canada to play online with PC, Cell phone or tablet instantly. Chumba Casino is run and operated by VGW RMG Malta Limited and is regulated and licensed by Malta Gaming Authority (MGA). In 2016 VGW launched a social poker operation called Global Poker, which uses a similar sweepstake system to US and Canadian players play for real money. You can grab $2 No deposit free as a new player to play at Chumba and also get 100% up to $1,000 when you deposit for the first time. Note that only players located in the US and Canada can exchange their Sweeps to real money at this casino and you must be 18 or older to sign up. How to play slots at Chumba Casino? To get started at Chumba Casino just visit their online site by typing the URL https://www.chumbacasino.com on your PC, Cell phone or Tablet web browser. Also you can login with your Facebook account or register yourself at the casino and open your casino account. In either case, you’ll be required to provide an address, and to certify that you understand that only players located in the USA or Canada can exchange Sweeps into real dollars. 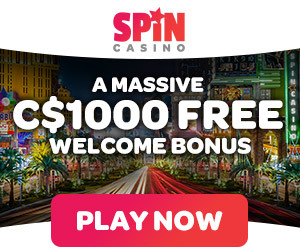 You will then receive an e-mail with a confirmation link – click it and you’ll be instantly redirected to the casino lobby. Your welcome coins and $weeps will be waiting in your account. You need two types of coins Gold Coins or Sweeps Cash to play slots and other games here. Upon signing up at Chumba Casino you receive 2 million Gold Coins and $2 or $5 in Sweepstakes cash absolutely free. An option then appears to purchase a 900,000 Gold Coins package for $5. That’s a 50-percent discount on the regular price. Also thrown in will be 1,000 Sweeps cash, equal to $10 in real money. The Sweepstakes cash is the important bit for players interested in playing with real money, as only this balance will be convertible to withdrawable funds. Remember that when playing in this social casino real cash prizes cannot be won when using Gold Coins to play. Only the Sweeps cash, which cannot be bought straight up in the traditional sense, can be traded for withdrawable money. It exchanges at a rate of 100 Sweeps for one real dollar. Because Sweeps cash is not directly purchasable and is instead given away for free, any money players trade it for does not count as gambling in the eyes of the law. This is because the Sweeps cash is technically a no-risk bet. After all, no real money is involved in obtaining it. There are over 50 slots to play at Chumba Casino. Chumba’s selection is designed and coded in-house by their Australian parent company, VGW Holdings. This means that the majority of their games are exclusive titles that can’t be played anywhere else. Some of the popular slots you can enjoy are The Great Slottini, Classic Spins, Super Hot 7s, King of Gods and Monster Spins. Also find two card based games Blackjack and Jacks or Better video poker games. Bets start at one Sweepstakes cash, or $0.01 in real money. They go up as high as $50 per hand at the cards tables, or $25 per spin on the slots. There are also two progressive jackpot slots to play and win The Big Goreela and Duskmoon Faire.. These can net big winners millions in Sweepstakes cash, or tens of thousands in real US dollars. However, Facebook players should note that these two progressive jackpot slots are not available on the Chumba Facebook App. They are exclusive to the ChumbaCasino online website. In this casino you need to buy Gold Coins and get Sweepstakes cash on top for free. The deposit options are currently Visa and MasterCard as well as PayPal. You can use these options to purchase Gold Coins in $10 increments. Players who use their Facebook app can also use Facebook’s payment methods to purchase Gold Coins for use at Chumba. If you win the slots games and want to have the payouts then you need to submit identification documentation before you can withdraw any funds. Additionally, the minimum balance required to do so is 10,000 Sweeps cash, or $100. Once all documents are verified, Chumba sends out a 10-digit pin by e-mail. Players must use that pin for all future withdrawals. Chumba also commits to processing all withdrawals within five business days. Withdrawals made through the Facebook App are subject to a $400 minimum limit. When you purchase Gold Coins at Chumba’s casino a $10 USD buys 900,000 Gold Coins with $10 worth of Sweepstake cash added in for free. Remember that if you play at Chumba Casino website then there is no limit on how much free Sweeps cash players can acquire by buying Gold Coins. The withdrawal limit is lower too, at 100 real dollars. Again note that players don’t make standard deposits. But the casino sells Gold Coins, which you can use as play money to try out their games for fun. No real money can be won by wagering Gold Coins, and the coins cannot be redeemed for cash. ← How can you use redemption code on your coupon when paying for an EBay item using PayPal? July 15, 2018 Kamal Kaur Comments Off on Which is the best PayPal online poker site for Canadians? What are the best Paypal alternatives to use for online business? May 18, 2017 Kamal Kaur Comments Off on What are the best Paypal alternatives to use for online business? What is Paypal’s Canada post solutions for small business? September 18, 2017 Kamal Kaur Comments Off on What is Paypal’s Canada post solutions for small business?